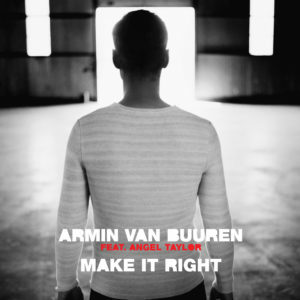 ‘Make It Right’ is a flawless blend of Armin van Buuren’s up-tempo rhythms and a ridiculously infectious melody. The song features the distinct vocal tones of LA native Angel Taylor, who also performs the track during the world wide ‘Armin Only Embrace’ in 2016/2017. This gorgeous track from the ‘Embrace’ album comes with a full range of solid remixes from none other than ilan Bluestone & Maor Levi, Juicy M, and Morgan Page.